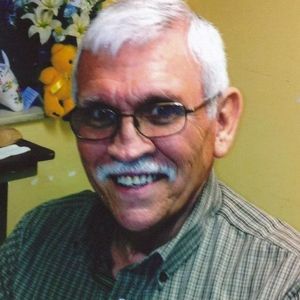 BOWLING GREEN- Kenneth Ray Carpenter, 71, of Bowling Green died Saturday, May 28, 2011 at 5:35 AM at Hospice of Southern Kentucky in Bowling Green. Born on May 2, 1940, Mr. Carpenter was a Insurance Salesman and attended Grace Baptist Church in Bowling Green, KY. He was a U.S. Army veteran. He is preceded in death by a son, Danny Carpenter, a daughter, Angela Carpenter, brothers, Ronald Carpenter and Mike "Bear" Carpenter. He is survived by his wife Faye Carpenter of Bowling Green; sons, Tony Carpenter and Steven King; daughters, Chrissie Bennett, Tina King, Michelle Groves, and Rhonda King; grandchildren, Johnathan, Danny, and Angela Carpenter, Brittany Mennenga, Logan Pekarovich, Drew and Noah Bennett, Tiylor and China Groves, Nathan, Kristin, and Dustin Brasher, Devin and Colton King; great grandchild, Hunter Groves; sisters, Janet Swartz and Dianne Shapland; brothers, Russell Carpenter and Jim Carpenter. 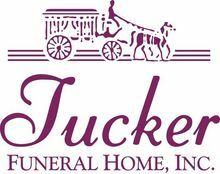 Funeral services will be held Tuesday, May 31, 2011 at 1:00 PM at Tucker Funeral Home in Central City, KY with Bro. Marvin Carson officiating. Burial will follow in Rose Hill Cemetery in Central City. Visitation will be held after 5:00 PM on Monday, May 30, 2011 at Tucker Funeral Home in Central City, KY. The beautiful and interactive Eternal Tribute tells Kenneth 's life story the way it deserves to be told in words, pictures and video. My deepest sympathies to all family and friends. Our time with Ken was nothing short of amazing. We didn't have him long; but the time we did have was precious and I will cherish forever. He always had a smile on his face, and a joke up his sleeve. He was truly an amazing person that I will never forget. He brought so much joy and happiness into our family, not only by being who he was; but for bringing Granny Faye the most love and happiness that she has ever had in her life. The kind of love that she deserved. This tragedy has taken a toll on each and every one of us, but we have to remember that he is in a better place, he is no longer suffering, and we will all see him again one day. I love you Ken, and I'll NEVER forget you! It is hard to grasp the concept that you are no longer with us. When I sit and think of your face I smile,those glasses whithe your tooth pick hanging out your mouth. You were always quick with a joke, many of them I used right after you told them to me as my own. Grandpa never missed an opportunity to tell me how proud he was of me, I'm not sure I did the same for him but I am extremity proud he is my grandpa. He thought me how to be strong and keep my head up. Ilove you grandpa. Ken will be missed by so many. We are sorry for his leaving us here but know that the place he has gone to is so much better and he will be whole and healthy now, an he won't have to wear his glasses any more. (Colton Burpo has attested to that). I was glad he had so many of his family there for him during his last weeks on earth. We are keeping you all in our prayers. God Bless. My wonderful father. Me missing you will not even be half of what I know that I'm gonna be losing without you being here with us. This was so abrupt and so shocking to us that it's almost unbelievable that you're gone. You not being here is going to be such a huge loss for this world, but what a great addition you are going to be in heaven with the lord. I will love you forever and miss you with my entire soul. We will see eachother again. Bye dad. My husband, my best friend, my soul mate. My heart is so broken...you were the Best thing that ever happened to me. I love you sooo. The time we had was short but oh so good. I will love and grieve for you forever. You are my ❤huckleberry❤. We laughed, Joked & sometimes danced for hours. I will miss you so much. Im very grateful for finally finding your true love before you had to go. My thoughts go out to your wife, kids, grandkids, & all that loved you. You promised me one last dance, so when I get to Heaven, I will be expecting it. Love & miss your smile. Thats how I will always remember you... Until we meet again Ken. you where my best friend, Road dog and Grandpa. We shared some of the best times i have ever know with each other. I cant believe your gone but i know i will see you again. Thank you for all your wisdom all your help and all your love. Thank you Grandpa for showing me the ropes.